This has been one of my favorite things during the winter as Christmas approaches, even more so now that I am pregnant. 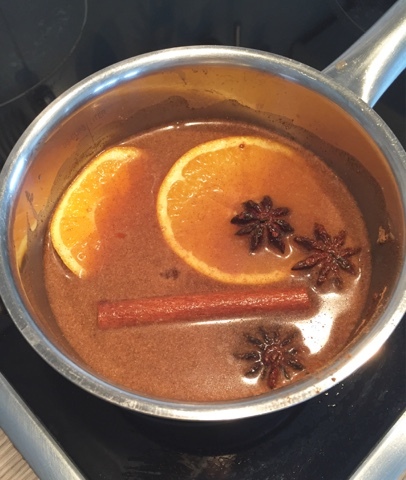 As you have read, I am trying to avoid chemicals as much as I can, but I just love my house smelling of cinnamon and Christmas -so here’s my solution for a chemical free, all natural smell that will fill your house and make guests think you spent all day baking. Combine everything into a small pot and turn the stove on low. Mix it every 30 minutes or so and leave it on for as long as you’d like. I generally have it on one hour before guests come or one to two hours in the morning to get the house smelling nice. 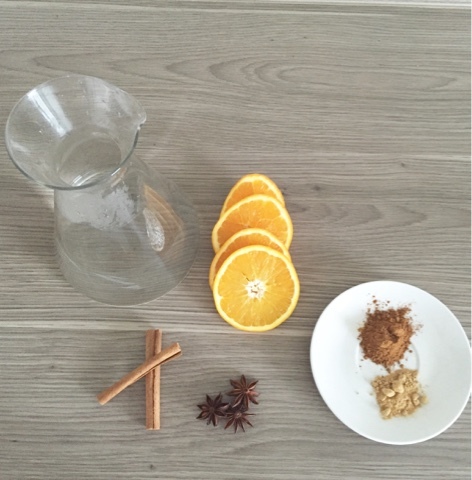 I re-use these ingredients for about 4 days just adding more water when it gets low -do not let the water run out! After about 4 days the oranges have really disolved and you will need to make a fresh batch. I have gotten so many compliments on the smell of our house from this trick and it is completely safe for asthmatics, children, elderly and pregnant women to inhale.